Casey Coleman demonstrates the power of video messaging with this great little shout-out film for the first ever #patchtestparty. We love it! Casey’s short film is not brand-specific, rather covers 5 easy steps you can all take to promote the value in offering patch tests prior to offering a colour service. 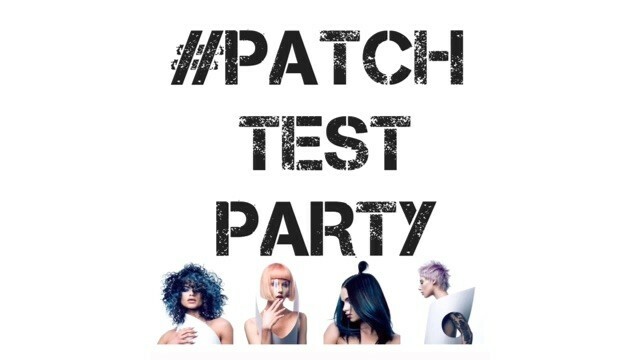 To conclude take a look and share the #patchtestparty story with your team. Casey Coleman is the salon owner of Chair salons in Cardiff. His salon opened a few months ago and is, rather proudly, Wales first salon with gender-neutral. This means for example that pricing for clients paying for a haircut is set according to the length of their hair, not whether they are male or female, and that the salon team are careful to watch their language and not describe looks as feminine or masculine. Furthermore, magazines and services represent all types of beauty and not conform to stereotypes. We love Casey’s salon mission described online at the salon website as: “Eat.Sleep.Hair.Repeat. A proud Welsh salon built on the need to give your hair a cwtch.” Nicely done Casey!